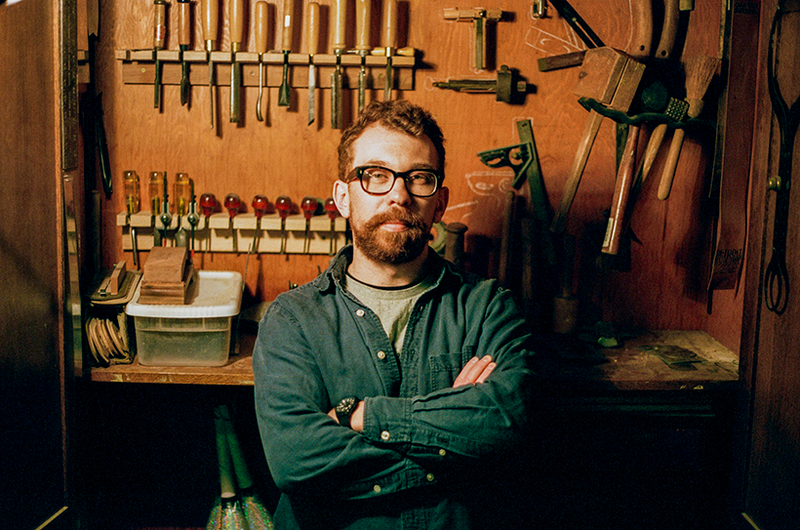 The subject of today’s partner profile is Christian artist and educator Jason Jaspersen. The timing of this article is not insignificant, as Jason recently ended his 17-year teaching career at Minnesota Valley Lutheran High School (MVL) in New Ulm, Minnesota. Jason will now be working as a full-time artist with worship band Koiné and as an adjunct faculty member at Bethany Lutheran College (more on these developments later). As a former student of Jason’s, I can speak personally to the enduring impact of his influence during what is certainly a formative period for many young artists. He introduced me to media that gave me direction and purpose. He encouraged me to channel my angst into images and to see value in them even when—if not especially when—they were unsuccessful. He was a man of comparably few words; a reliable listener who chose his responses as carefully as the skilled artist draws a contour. But you don’t have to take my word for it. Let’s hear from several former students. The first is from the MVL graduating class of 2008, and the last from 2019. While he was teaching at MVL, Jason built a deep portfolio of commissioned work for both Christian and secular clients (his CV includes nearly 75 commissions alone). One of these clients is Milwaukee-area worship band Koiné. 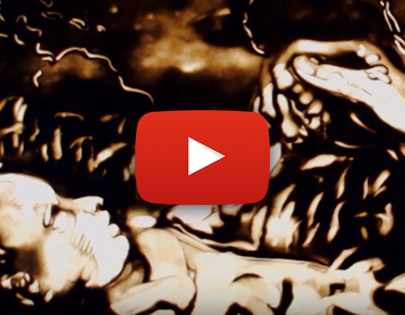 Over the years, Jason has done a great variety of work for this band including T-shirt designs, packaging illustrations, motion graphics elements, and sand animations. 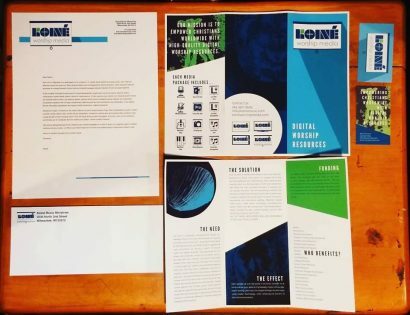 For more animation, take a look at this playlist of Jason’s most recent work for Koiné. Jason’s portfolio as a practicing artist is highly distinctive. I remember going to one of his gallery shows in high school and having my first experience with Christian art that was also “cool” (translation: contemporary, stylish, and emotionally relevant to teens as well as adults). The cool-factor is partly the result of his contemporary aesthetic leanings. His paintings, for example, are vibrant, bold, and expressive. 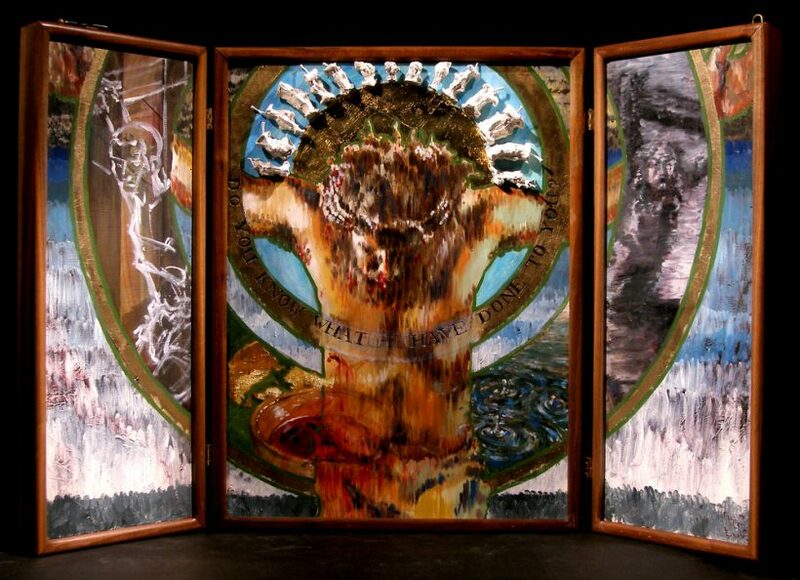 In the triptych below, the loose brushstrokes of the Christ figure in particular give a dynamism to the piece that accentuates the emotion and significance of the crucifixion. The typographic inclusion of “Do you know what I have done to you?” both calls us to the exchange between Jesus and his disciples on his last night and also seems to speak to us in the here and now. The immediacy of the figure in scale and placement, combined with this text, takes the grandeur of this all-important event and makes it personal. The halo of apple cores is strikingly inventive; a choice that is both theologically sound and undeniably fresh. A decision like this requires deep theological engagement, ingenuity, and courage in equal measure—a rare combination. Jason’s contemporary leanings are perhaps more evident in this banner completed for Martin Luther College, which uses words of great institutional significance from Ephesians 4:11. The Christian symbol of the dove anchors this beautiful memento to the Church’s devoted servants, while the visually striking colors and textures recall the stylistic patterns of indie-rock album art and other “edgy” commercial outputs of the past decade. My choice to feature some of Jason’s 2D work is likely the result of my own inclinations as a 2D designer/artist. But perhaps the most notable characteristic of Jason’s portfolio is its remarkable range. He is incredibly versatile, a quality definitively captured by The Process, a recent arts educational program featuring Jason and his work. The series is produced by New Ulm Community Access Television (NUCAT) and as of this writing 5 episodes have been produced with runtimes of about 20-25 minutes a piece. Each episode provides an intimate and engaging look at Jason’s process from the conceptual to the physical. It’s a fantastic and instructive series that authentically captures Jason’s persona, creative philosophy, teaching and storytelling abilities. The first episode of The Process focuses on wood block printmaking (spoiler alert). Jason is commissioned to illustrate the oft-treasured passage “I know the plans I have for you…” (Jeremiah 29:11). 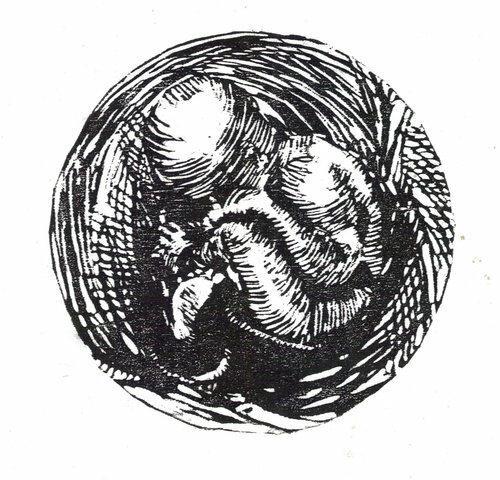 Jason visually depicts the inherently invisible idea of “potential” by subtly depicting a mature tree within the textures of an acorn, the potential of which is held within. The tree may not be immediately apparent: “I like it when an artwork presents itself, and you think you know what you’re looking at…and then a switch happens,” he explains. “Switches” or reveals of this nature are frequently utilized in time-based mediums, so this print may have been informed by Jason’s work in motion/animation. In the second half of the episode, Jason describes his path to building his own printing press. This perfectly encapsulates his problem-solving abilities as a maker and his values as an artist. His press is not a perfect machine, but the unique artifacts are a special part of the process that does affect the final: “It’s my press. It produces the kind of results that my press produces,” he says. Season 1, Episode 2: Bronze Sculpture • watch on YouTube: Jason discusses sculpting in clay and casting in bronze. 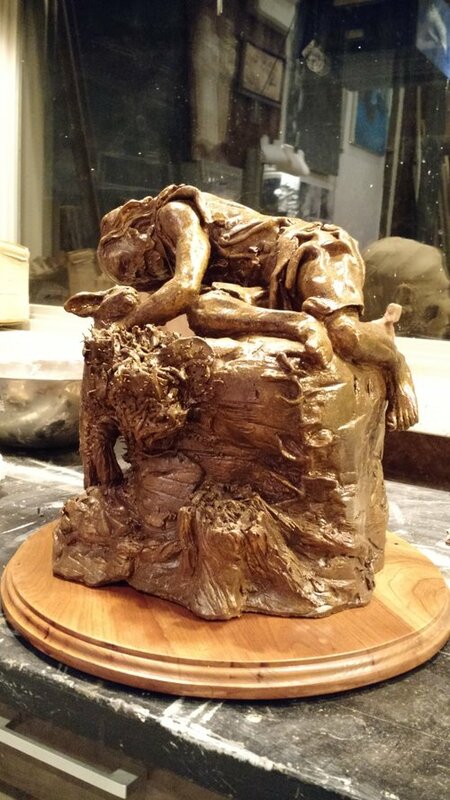 This is one of his primary or preferred mediums; he has completed a number of sculpture commissions for public pieces and monuments. Season 1, Episode 3: Children’s Book Illustration • watch on YouTube: For a Lutheran book commission, Jason combines the traditional Japanese art of Sumi-e ink wash (he learned this technique from his grandmother, who is Japanese) with digital post work using Adobe Photoshop. Season 2, Episode 1: Helping Hands Sculpture • watch on YouTube: Jason creates a large, public sculpture that works like a shadow puppet. Season 2, Episode 2: Oil Painting • watch on YouTube: Jason completes a painting commission for the WELS Choral Fest. Suffice it to say that I love this series. It’s rife with both personal anecdotes and foundational and advanced tips for practicing artists of varying levels of experience. The series as a whole is a portrait of an artist who loves what he does and loves sharing it with others. 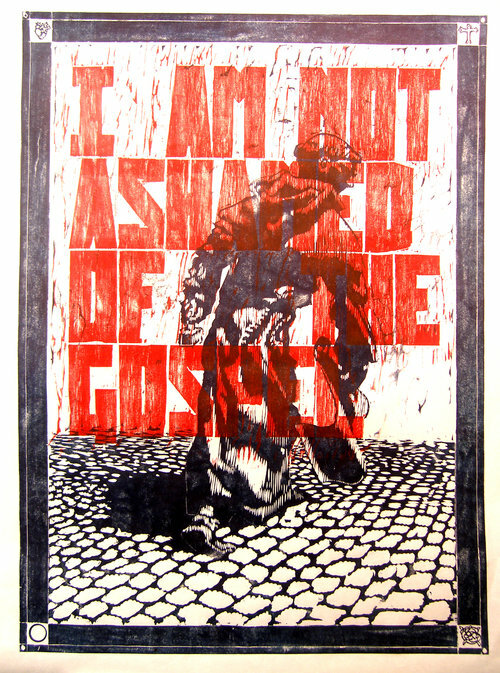 A highlight for me occurs in Season 1, Episode 3 as Jason recalls illustrating the words of the beloved and anthemic Lutheran hymn “A Mighty Fortress Is Our God.” The drama and weight of his illustrations result from both the urgency of his chosen medium and his “fascination with heroes, villains, and battle.” This project exemplifies one of Jason’s focused markets: “I try to make work that’s really even beyond Christian specifically Lutheran.” Personally and professionally, I have certainly contemplated the nature of “specifically Lutheran” art. What defines it? What makes it good? Is it even a real thing? I’m accustomed to answering this question in terms of vocation, as is most relevant to my occupation teaching graphic and motion design for primarily commercial purposes. But Jason’s portfolio offers real insight on this important topic. Lutheranism is often represented with cartoons invoking cliches of seating patterns, lutefisk, and other assorted traditions. Lutheran theology, on the other hand, the real essence of the thing, is harder to summarize and difficult to show. I’ve worked with several Lutheran clients and have experienced personally the struggle of finding the “right” aesthetic sensibility for Lutheran images and ideas. Perhaps because of these challenges I feel equipped to suggest the things that Jason is getting exactly right. But perhaps just as significant is Jason’s ability to convey aspects of Lutheranism that are harder to quantify…for example, the distinct but ineffable attitude that follows its theology. To be Lutheran in 2018 is to truly believe in every word of an ancient text…words from a time and place that at a cursory glance may seem quite distant from our own. It’s to accept as truth these stories about people we’ve never seen or met, and to believe fully in a God we cannot see or touch. To be Lutheran is to know that the words of this ancient text are not only true but are more relevant to our lives (and deaths) than anything else in the world. 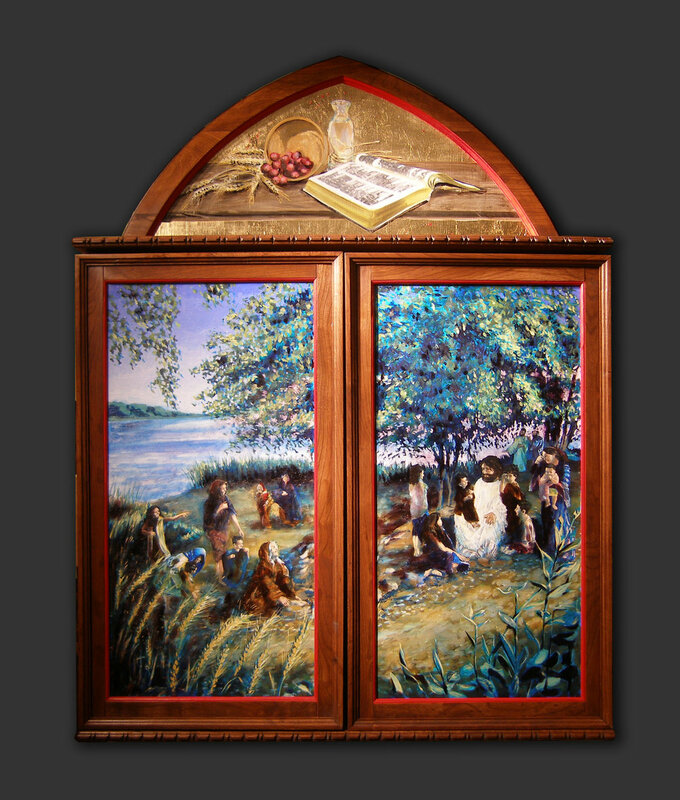 Jason’s art also bridges this gap of time and space: his images are true to the rich content and traditions of the sacred source material while also speaking to our sensibilities and understanding as contemporary believers. 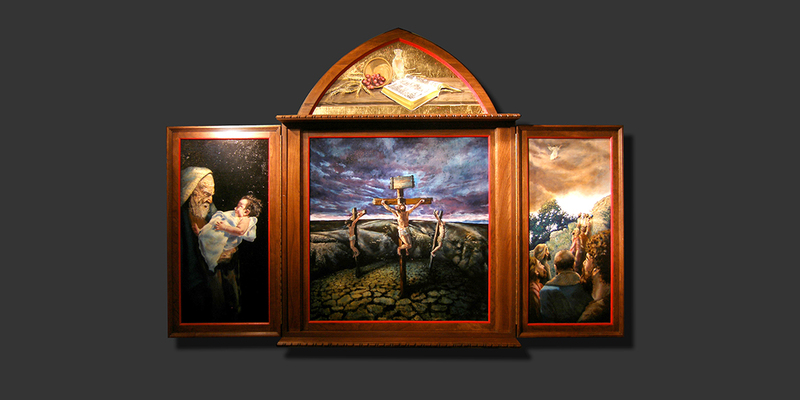 The conviction it requires to believe all of the Bible and to rely entirely on God for salvation is reflected in the immersive and expressive details of Jason’s work (the evidence is all over his portfolio, a notable example of which is found in his explanation of the Good Shepherd concept sketch). It’s difficult, if not impossible, to study, make, and teach art without acknowledging the transcendent. I am not alone in believing that Lutheran art of this calibre can only be created by someone who really believes in it. In this profile it has taken me nearly 2,000 words to express something that Jason is able to say on his homepage in only 4: Fresh Perspective | Timeless Truths. There’s so much wonderful content at jjjaspersen.com. Readers: I urge you to peruse his work, watch his videos, read the blog, buy something, or think of him for future commissions. Jason: I commend you on your achievements and wish you well as you embark on the next stage. Oh, and welcome to campus!